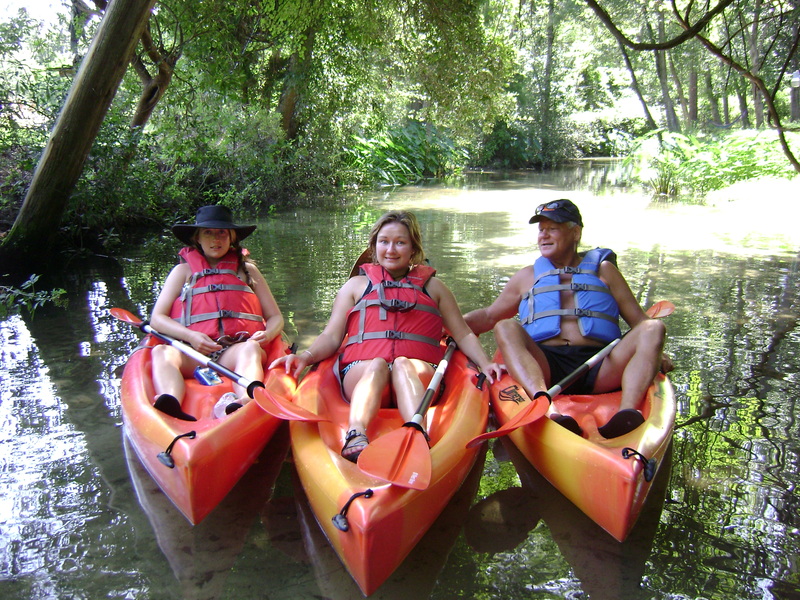 Foley, AL — BeachnRiver Kayak Rentals is proud to announce the Luke and Teresa Calhoun family and the Porter Vardemon family both of North Alabama are tied with each having returned to kayak with BeachnRiver Kayak Rentals four times and introducing new guests with each visit. 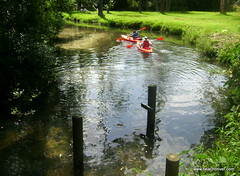 BeachnRiver Kayak Rentals relies heavily on guest referrals and to have such loyal guests in only the first season is especially rewarding. Mr. Vardemon returned all four times within the first three months of opening. He keeps his favorite kayaking hat on hand in the BeachnRiver Kayak Rentals office reserved for his return visits. 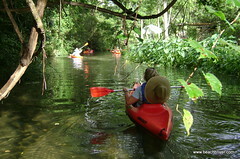 Porter Vardemon And Daughters Of North Alabama Kayaks The Bon Secour River in Foley, AL With BeachnRiver Kayak Rentals. We look forward to learning which family will break the tie this year and welcome other families to join in the contest. 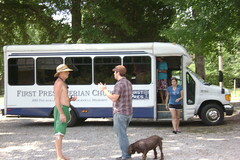 Following are photos of each family. 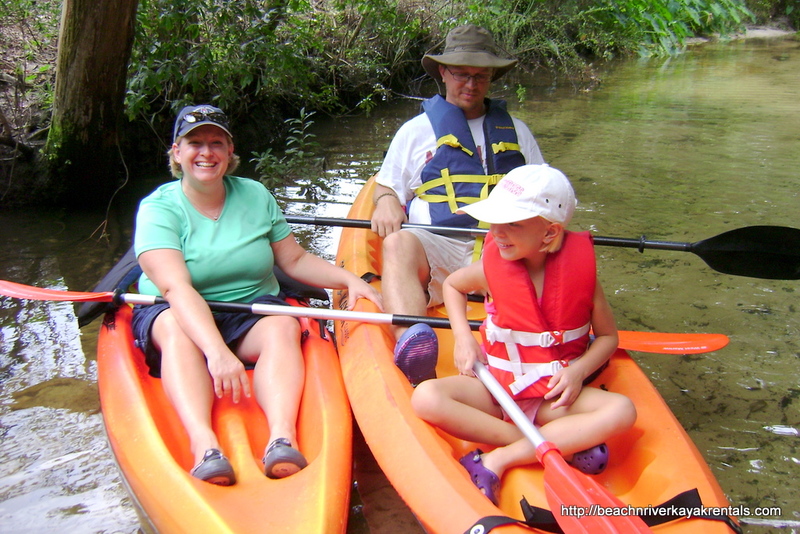 Pictured from Left: Teresa, Luke and Riley Enjoy Kayaking The Bon Secour River In Foley, AL With BeachnRiver Kayak Rentals. 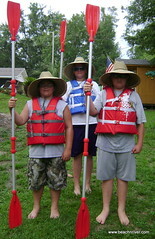 This entry was posted in Kayakers 2011 and tagged Bon Secour River, Foley AL, Luke and Teresa Calhoun Family, Porter Vardemon Family. Bookmark the permalink.